Congratulations to the 46 pupils gaining their Silver DofE Award at our Certificate Giving Assembly this week. This is a significant achievement as they have shown commitment and determination to work for a period of over 12 months on their Volunteering, Physical, Skills and Expedition sections. They were presented their Award by Barry Fisher the National Director of DofE Scotland and one statistic he mentioned was that in the past year Hutchie has contributed a minimum of 3,000 hours to our local community through the Volunteering section. Very well done! 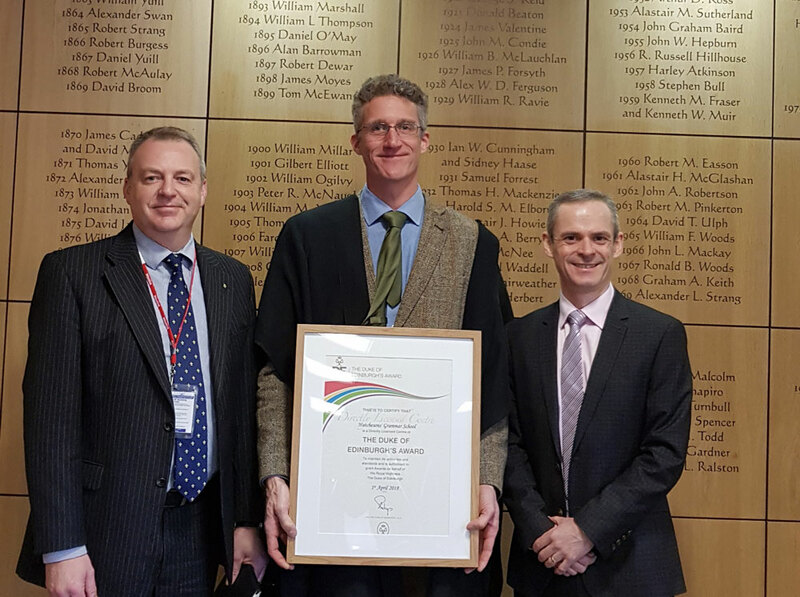 Mr Fisher also presented the Rector with our renewed Operating Authority License.